Whoever this is speak clearly I'm a Brummy, we spek proppa English. Oh hi Len, how you doing mate, been a while, whats up?.. 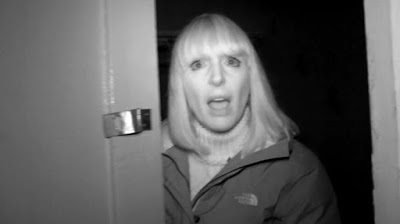 "Spook-searching with Yvette Fielding and co! 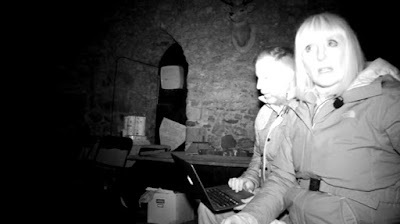 The ruins of Dudley Castle house a plethora of paranormal activity, with strange noises and a violent poltergeist awaiting Yvette and her team." Yes it is that time again, and since Most Haunted this week are at Dudley Castle, I thought I would put my big boy pants on and get the review done early for once. 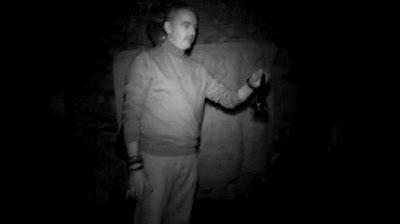 Now I know Dudley very well, I've investigated the Castle a few times, have known people who have worked there, in the museum part, in the Zoo, on the grounds, I even know people who have been employed as actors to pretend to be ghosts to hide around the place when there is a ghost hunt on. Dudley Castle is NOT haunted, there are no ghosts there, (Or anywhere of course), all of the stories of hauntings from the castle, have been created to help with tourism, to sell ghost hunting tours, merchandise and so on. 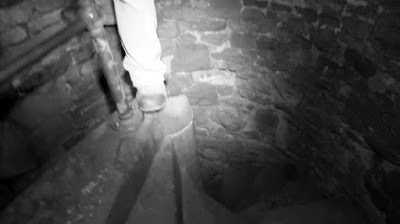 I repeat there are NO ghosts, poltergeists, ghoulies, a drummer boy, a grey lady, nothing at Dudley Castle, it is 100% made up for tourism. Next up time for predictions for the episode. 2. Fred will act suspiciously. 3. Karl will challenge a ghost to murder him. 4. Darren will get a throb on. 5. I will want to poke my own eyes out in frustration. And with that lets get to the show. Yvette is wrapped up well today, I am guessing it was a classic Dudley day with the weather. 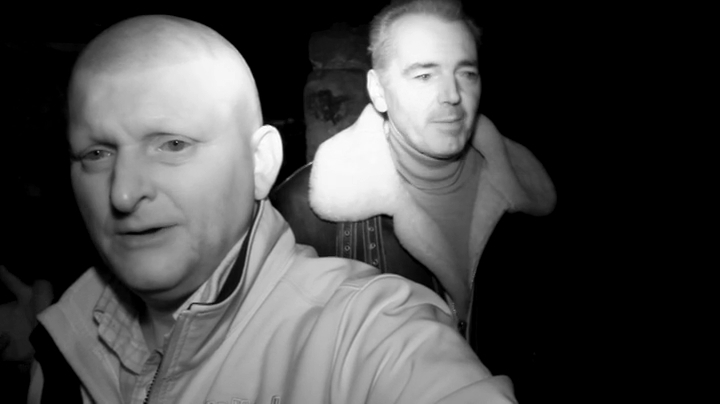 For those of you with good memories, Most Haunted has investigated Dudley Castle before, on a Most Haunted Live, although they never mention that tonight. It's a great location for an event like that, as it is nice and big, lots to do etc. 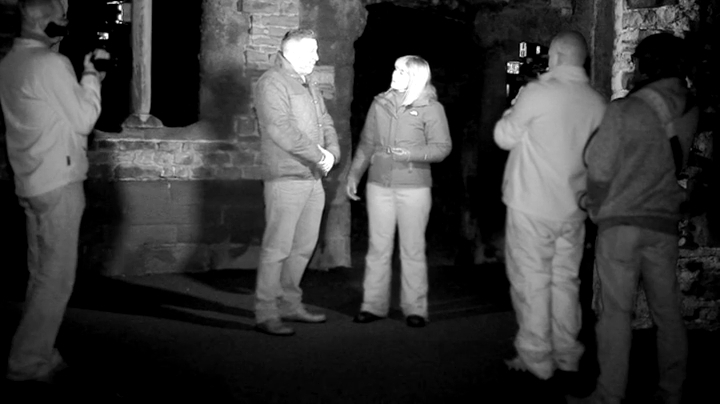 For a straight forward one night investigation, it's an old castle, it's a bit boring. Looks like Stuart is back from his r̶e̶h̶a̶b̶ holiday this week. 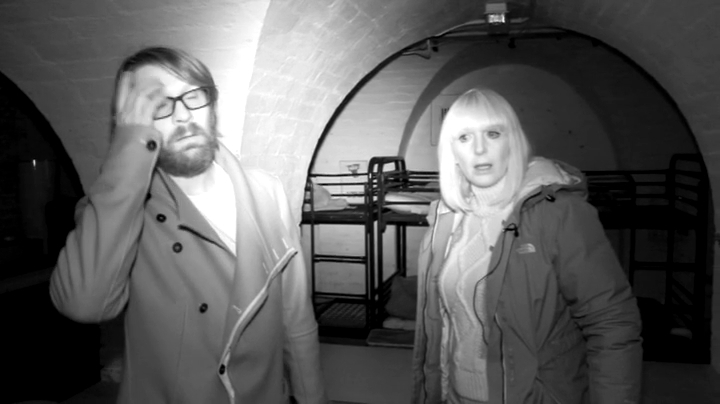 Yvette and Glen start off in the museum area, And even see the rats. They are part of the Zoo area. Although I am sure there are wild rats in Dudley, they probably like to stay in the sewers and not pose for the cameras. 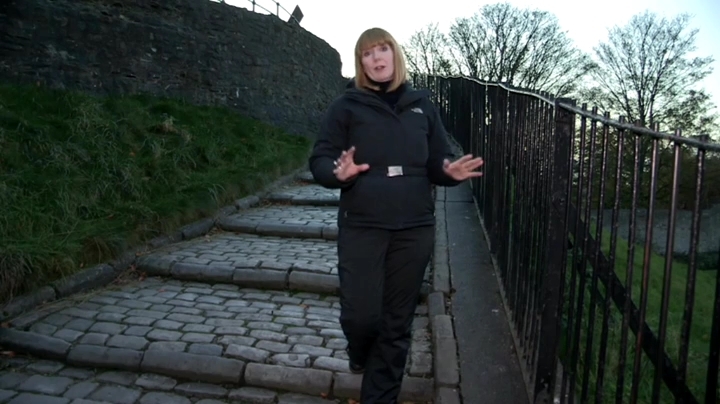 Yvette is talking about the Castle, the hauntings and so on. Even Glen points out it is stereotypical. For some bizarre reason we keep getting this "behind the scenes" shot, the show even started with us hearing Karl say "Action". Not sure why they are doing this, but at least it is something different, but perhaps it exposes the fact that everything is very much scripted and pre-planned. 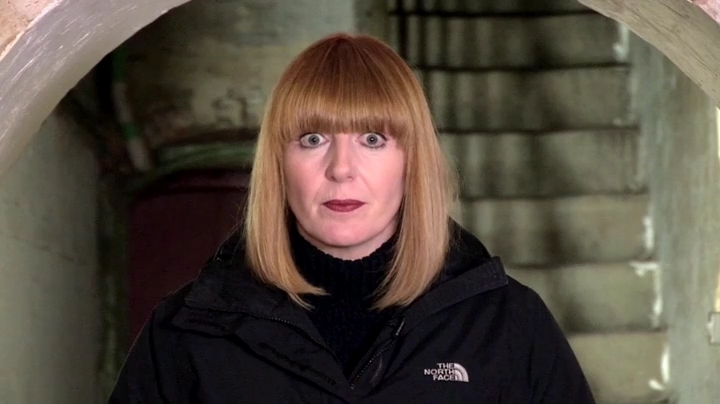 Lovely red lipstick on Yvette today, nice to see her make an effort. Yvette and Glen are looking around, and doing a good job showing the various things to see in the museum area. Doing a good job advertising the Castle Museum. They now start the investigation. Yvette is with Darren and Glen. Karl is with Fred and Stuart. Yvette is already hearing bangs. Worth saying at this point, it is very easy for anyone to get on the Castle grounds, for kids to hide, mess about etc. And trust me if people see a camera crew, they gonna try and prank. At roughly 13m 35s there is a weird sound, to me it sounded like a stone being thrown and then spinning on the floor. The sound has definitely been enhanced here. 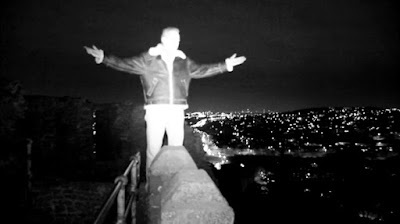 Fred hears a noise, so they run about a bit, they are on the roof of the castle, so open air, and noises could be anything, hell a bird could pick up a stone and drop it near them. Karl decides to balance over the spiral stairs for no reason at all. Karl reveals that they couldn't have Watson there because it is a zoo as well. But hang on a second Watson hasn't been on camera on any of the episodes of this season has he? And ALL the animals are contained at the zoo, you don't have giraffes walking about loose you know. Glen is bored so is looking at the latest additions to The Fappening website, hoping beyond hope that a naked photo of Yvette has been leaked. Artists impression of Glen if ever such a photo was leaked. I am not a fan of outdoor investigations. Back with Karl, they hear steps. "It cant be a person" - Fred Batt. Here is a simple question, why would a ghost need to use the stairs? 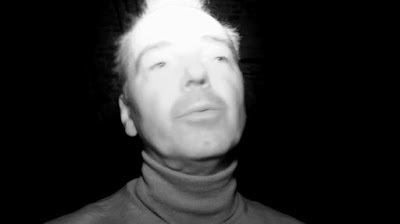 Karl claims the sounds are definitely paranormal as they cant be normal. With science like this all the skeptics need to go home. Karl has enough of all the lies, stands ready to jump from the top of the castle. He shouts from the top of his lungs. 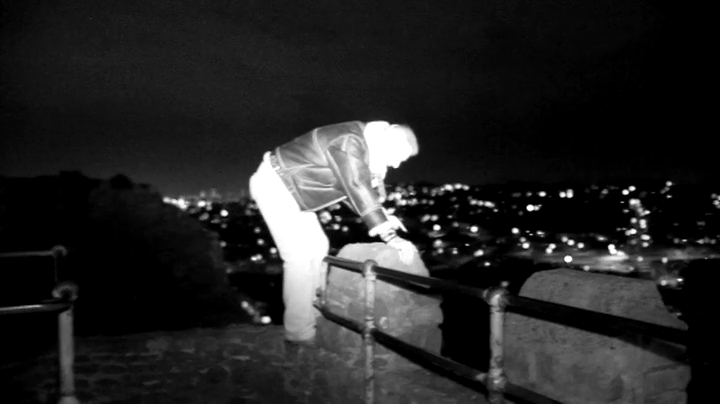 "I am NOT a real Samurai, I am NOT a Doctor, I flipped the bed, I threw the spoon, I cant even tie my own shoe laces"
And just as he is about to jump, Stuart grabs him and says. "NO Karl, You ARE a real samurai, you ARE a real Doctor, and you would have gotten away with it if not for those meddling kids." 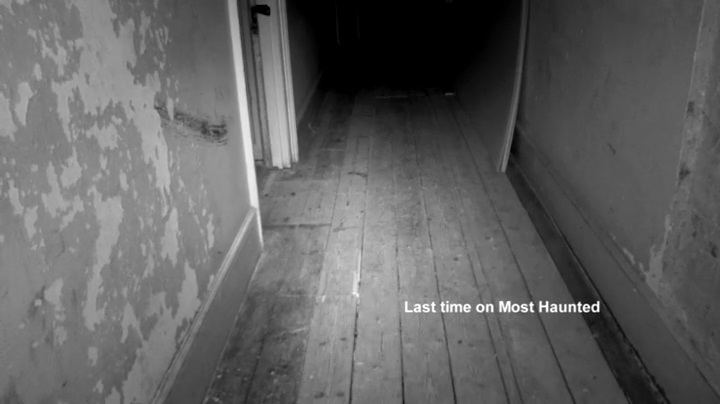 Never in my whole life have I wished to be wrong about ghosts. I was willing them with all my being to do ask he asked. 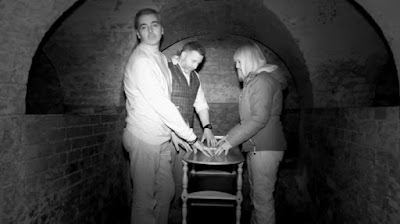 But alas the ghosts decided to stay quiet, and avoid a potential lawsuit from Dudley Castle Ltd.
Back with Yvette and she knocks on the chair and asks the ghost to copy her, we then hear returning thuds, definitely from the ghosts, and not from one of the production team in the next room off camera. Yvette knocks again, and again clear as day you hear a knocking back, but Glen said he could hear it very faint, and Yvette couldn't hear it all. So basically this is being edited in or enhanced in post production, meaning what you are hearing through your TV speakers is not the same as what is being heard in the room. Sorry guys but more fakery right there. 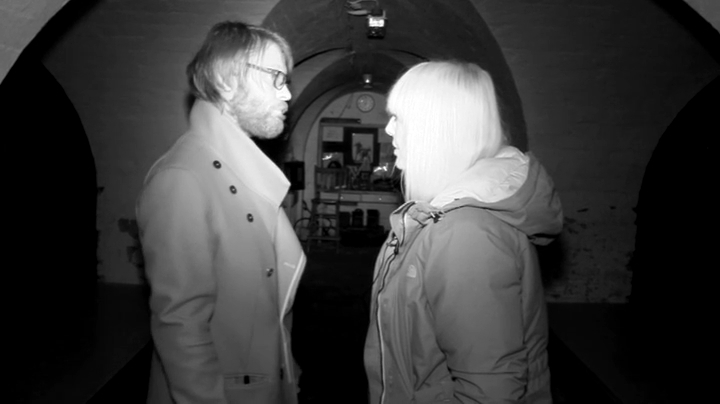 By the ghosts not pushing Karl to his death, Karl realises he has just proven ghosts do not exist, so he quickly has to change course and says the ghosts do not want to hurt him, because he has been hurt in the past and now the ghosts feel sorry for him and want to hug him and make love to his naked body. Or something like that I don't recall, I was picking my nose during this bit. Notice Stuart's hairline again, I still think he fakes his Alopecia and just shaves his head. All gone a bit boring now, at least Karl and Stuart in in the museum area now inside. Hopefully they have a nice stunt for later. Fred is looking incredibly suspicious as usual, hands in his pocket, any noises, things thrown will definitely be him. 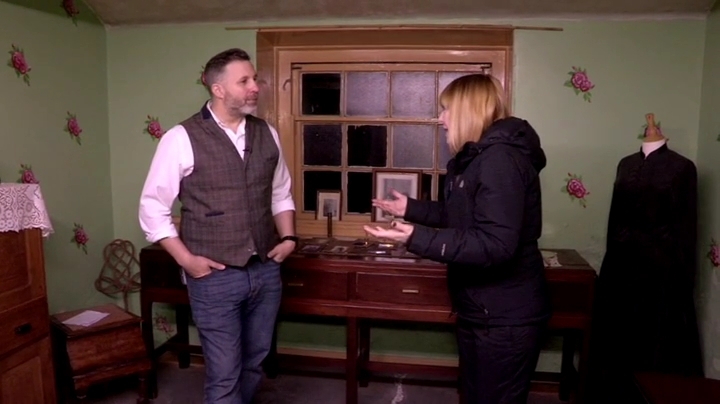 Yvette asks the ghosts to do something to Karl and Stuart who are elsewhere, we get the split screen to trick viewers into thinking we are seeing the same timeline on both shots, within a few seconds there is a noise, and something has been thrown OFF CAMERA. 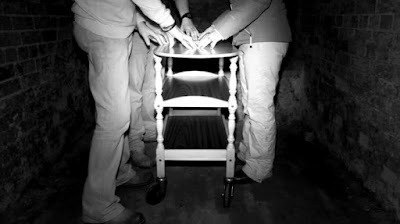 As they investigate, something else is thrown behind them OFF CAMERA. Karl is pretending to not be able to see where he is going, despite the fact Stuart has a big light on his camera, and things in the room are clearly casting a shadow. For some reason Stuart keeps filming up Karl Beattie's snot ridden nose, I hope you are not eating while you are watching this. Suddenly another noise and vase or something has been thrown OFF CAMERA. Just one stationary £50 camera at the other side of the room with them both in shot would prove this was not one of them, but instead Stuart just chucks it with his spare arm. 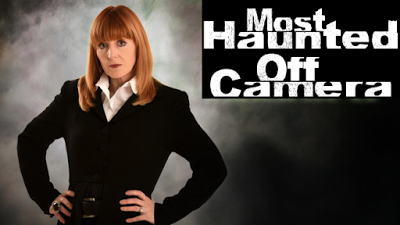 21 series of Most Haunted and they have NEVER EVER, not once, ever, caught something being thrown that was not a crew member, from beginning to end. Never. If any of this was real, that is the single most unlucky streak in the history of the world. 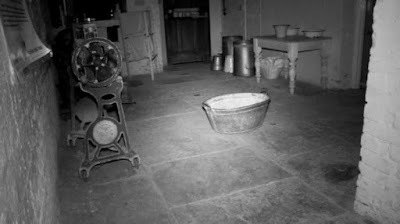 There is a noise of a chain being moved, there is a chain on the table. Karl declares neither of them were near it, and it is the only chain in the room. But how do we as viewers know it is the only chain? For all we know Stuart has one in his pocket, around his waste. One of the many off camera production team could have a chain. Why they are filming using only one camera, when you can buy a simple GoPro style camera for hardly anything is beyond me. 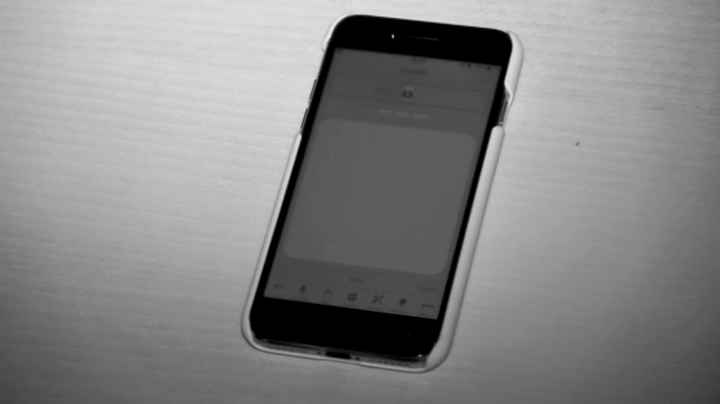 They could even prop up one of their smartphones in the corner of the room, and hit record, it really is that simple, yet they never do it. 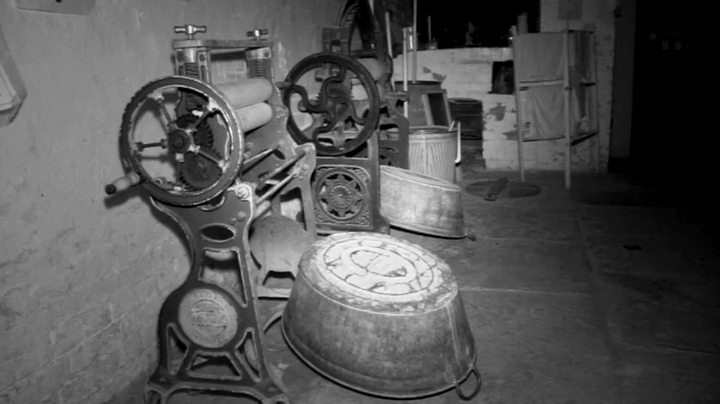 Dudley Castle Museum is full of CCTV, yet we never see any footage from that, why? 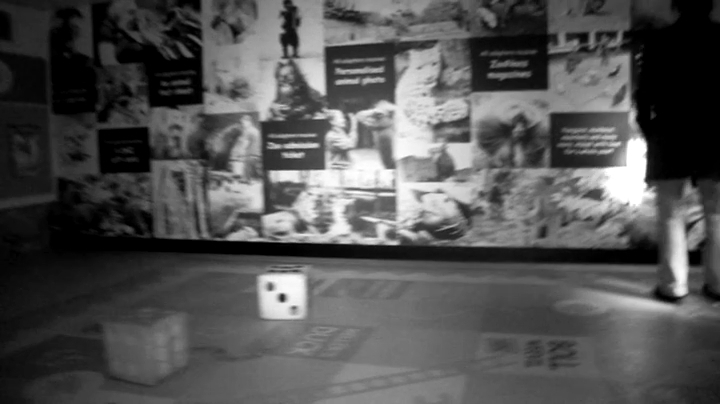 Because the employee from the Museum turns off the CCTV while they do their investigation. 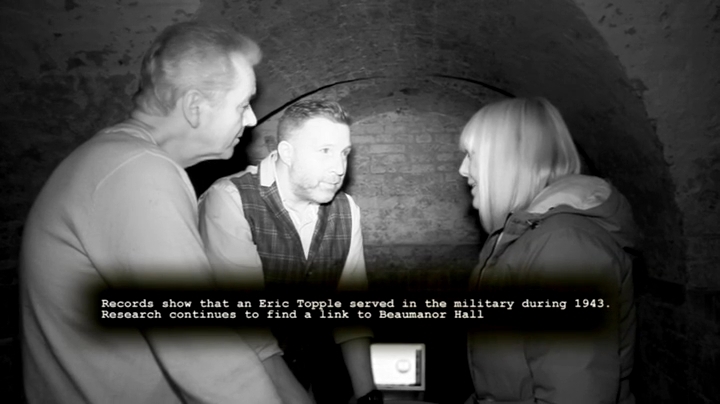 That footage would be so valuable IF this was a real investigation and not a spoof. Fans and believers of Most Haunted, however much you hate me, please just go ask these questions yourself, ask why we are never shown the CCTV footage that ALL of these museums have. "We are not here for the view, we are hear for the invisible things" - Glen. Glen is up on the roof of the castle now, seemingly on his own. Nothing happens. 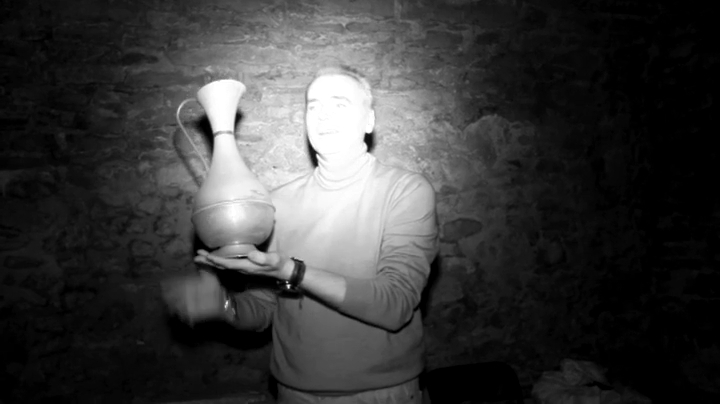 Karl shows off the museum piece that Stuart chucked earlier OFF CAMERA. Back with Yvette and Fred, and Yvette is getting scared. You can hear steps or knocks very clearly through the camera, but they are not reacting, so this is some bad editing. Now with Karl and Stuart and suddenly a big bang behind them and something has happened OFF CAMERA. With Yvette and this has to be a mistake in the post production edit, I am guessing the knocks etc are supposed to be faint, but have come up really loud, but no one present is reacting to them, so they have definitely been added afterwards. Fred has gone ahead, and there is a noise, so Yvette catches up to him, a big dice has moved and Yvette even says "We just assumed it was you." 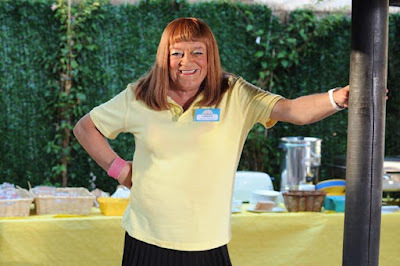 Why would Yvette assume it was Fred? Yes Yvette it was him, it is always him. This has been a really boring episode. 5 minutes left, come on Stuart and Karl, please do something. Remember the days of Stuart fainting, or falling in graves or down a staircase. I miss that Stuart. Suddenly there is a loud ringing of a bell, Stuart and Karl react accordingly. Karl finds the bell, and points out he was one side of the room, and Stuart was the other. So how did it happen? Here are just a couple of explanations that are much more likely than a ghost did it. Stuart is holding another bell. They recorded the sound of the bell on their phone and just played it back. They recorded the sound of the bell and then added it in, in post production, and then just had to signal to each other when to react. And that is it, the big finale was a bell ringing. What a complete and utter let down. With Stuart back I had really hoped for some quality shenanigans, but instead we got a few things thrown off camera, and a bell. That's it. What a waste of mine and your time. I can't even give this a 1 out of 10, this is a 0 out of 10, I wont give it a minus score since it is in Dudley, but still this was a terribly boring episode.